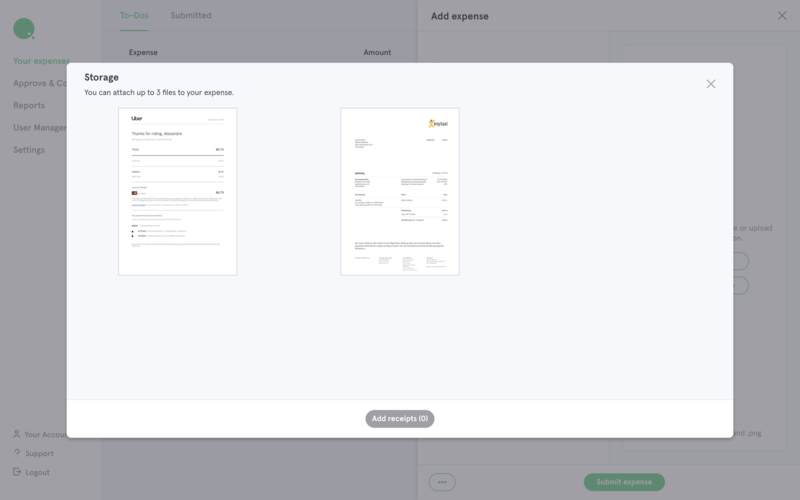 Your Storage allows you to store invoices in order to submit them later. 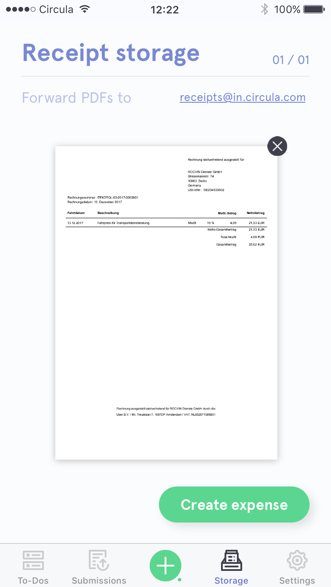 Email: send your PDF invoices to your Storage by forwarding them to receipts@in.circula.com. Scan: with the Circula mobile app, tap the green plus button and select 'Scan receipt'. Scan your receipt and tap 'Save to Storage' to complete the process. In the mobile app: tap on the navigation tab Storage. To create an expense from an invoice, tap on it and select 'Create expense'. In the web app: when creating a new expense, click on 'Add from storage' to open the Storage view.